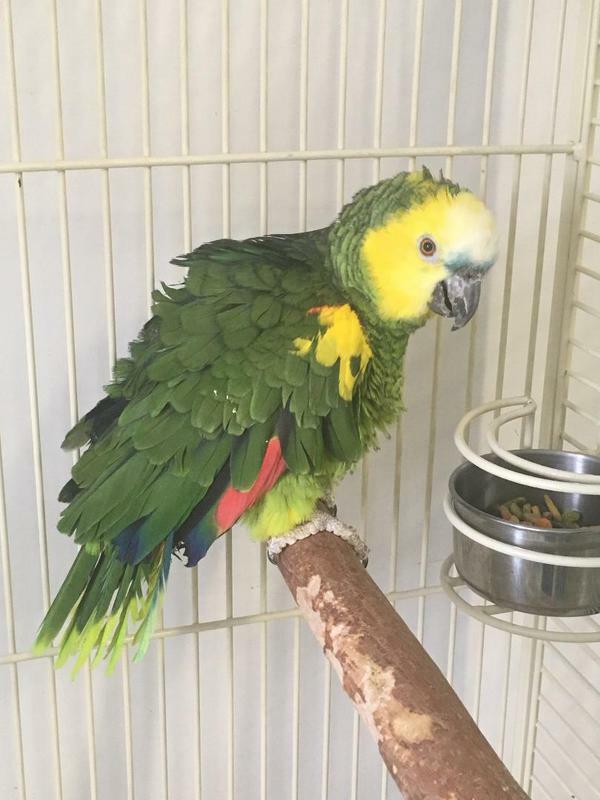 so give us a call at 816-356-4700 or email BurgeBirdRescue@yahoo.com. 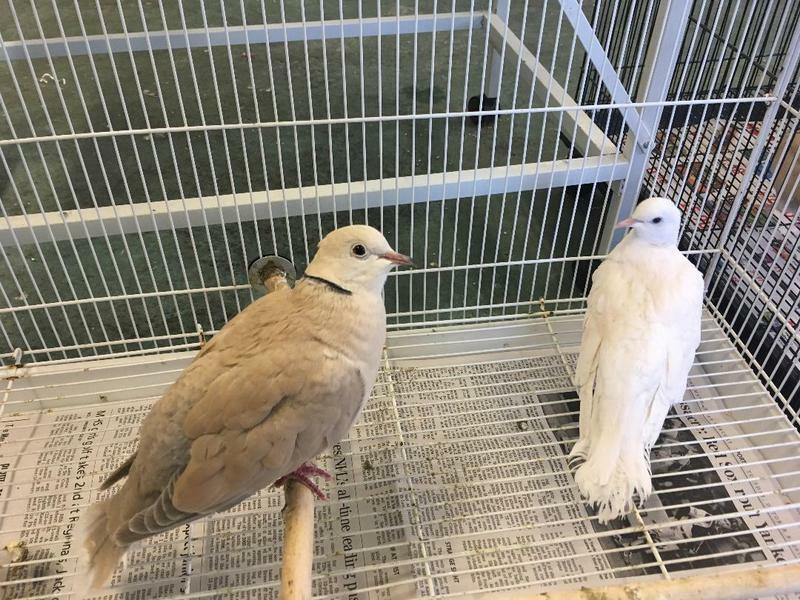 If we don't have the bird you are looking for, be sure to check with Beak N Wings bird club at www.BeakNWings.org to see what birds they have available. 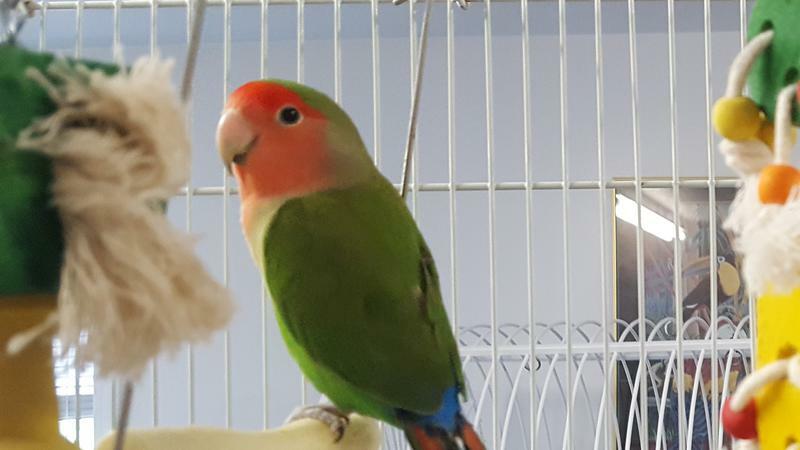 Meet Lily, she (or he) is a 5 year old peach face lovebird. While Lily is tame, she has a moderate medical issue. She will need to be adopted by someone that care for her medical need. Lily's previous owners were just not in a position to give Lily the needed care. 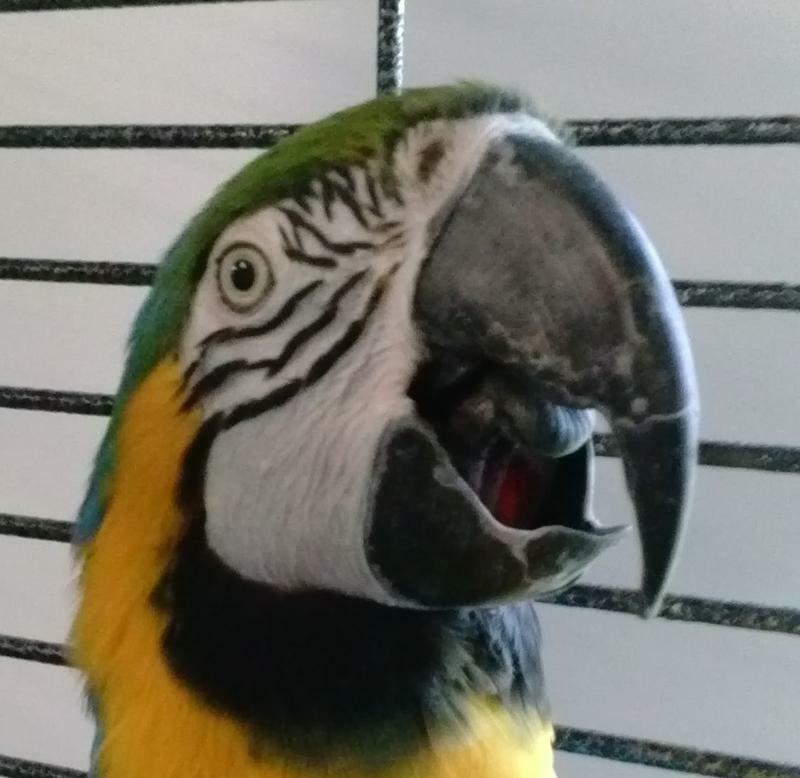 Max is an older blue and gold macaw. She has arthritis, but is able to get around her cage at a slow pace. She tends to favor men more than women. 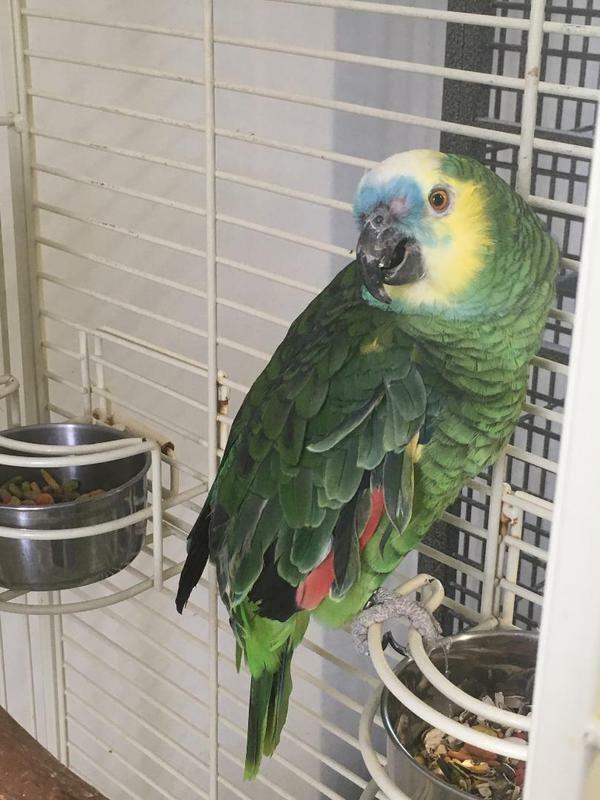 She will need someone who has experience with older birds; particularly macaws. 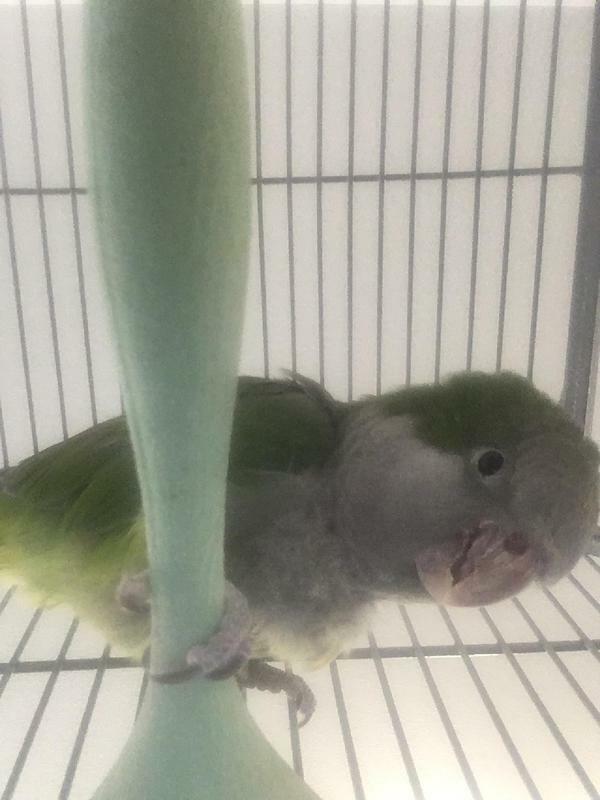 Adoption fee for this bird is $300. 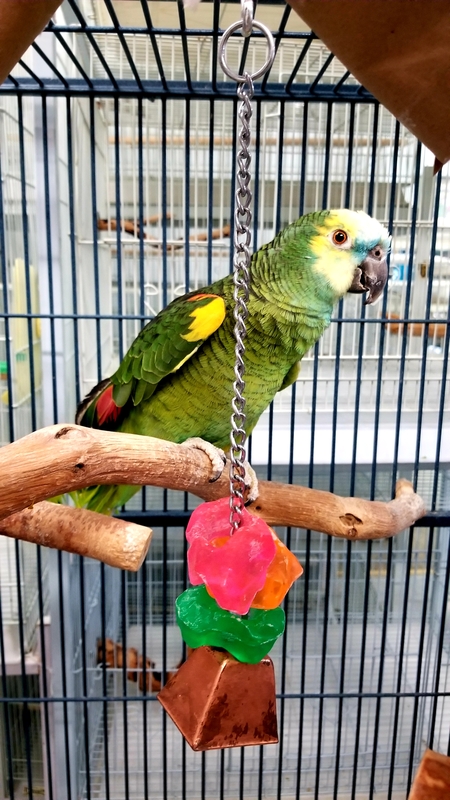 Mango lived with a couple of different owners before coming to Burge Bird Rescue. 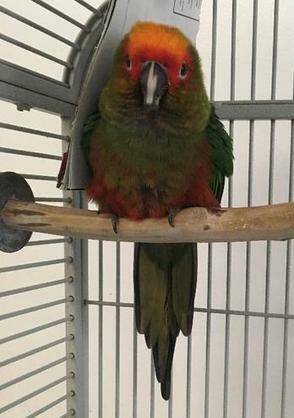 She is an adult lovebird. She does best as an only bird. Snow White and Maui. 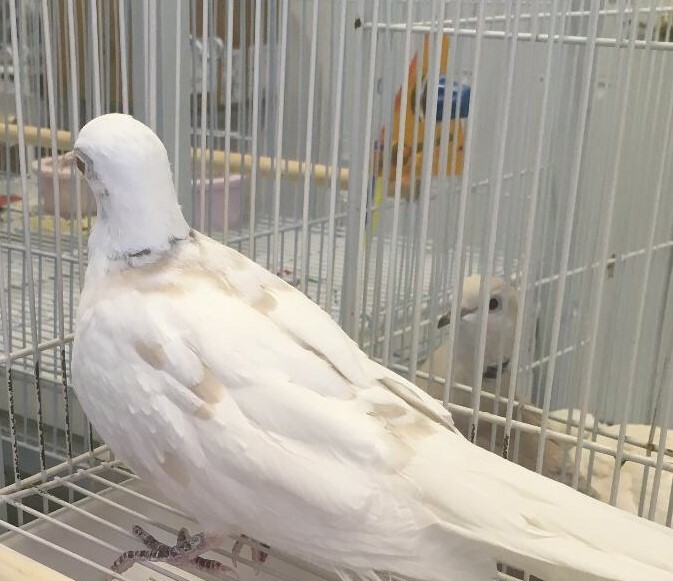 This pair of doves came to us with their four children. They are a very friendly pair. Snow White and Maui are looking for a good home to retire to. The adoption fee for the mom and dad are $10 each. 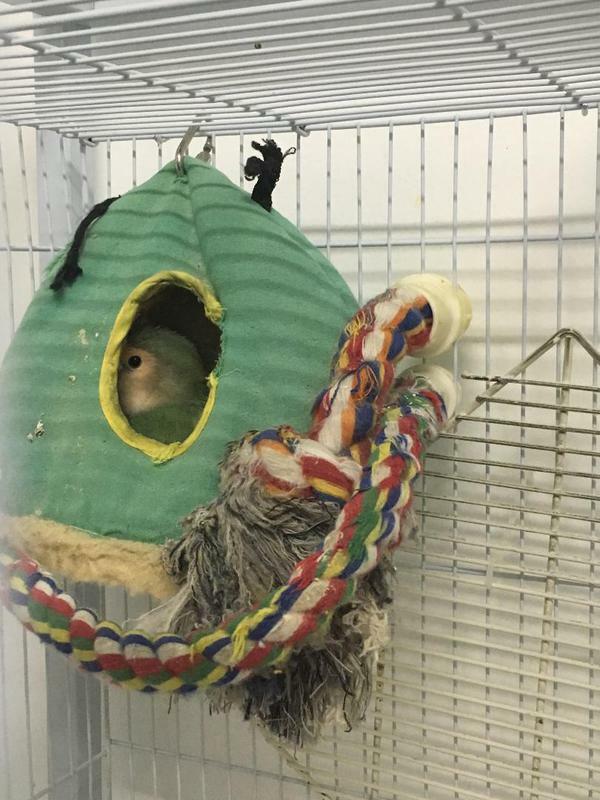 Romeo and Juliet are two older peach faced male lovebirds. Juliet has a severe head tilt, but he is able to get around and eat with the help of his brother. They are both quite shy and timid. 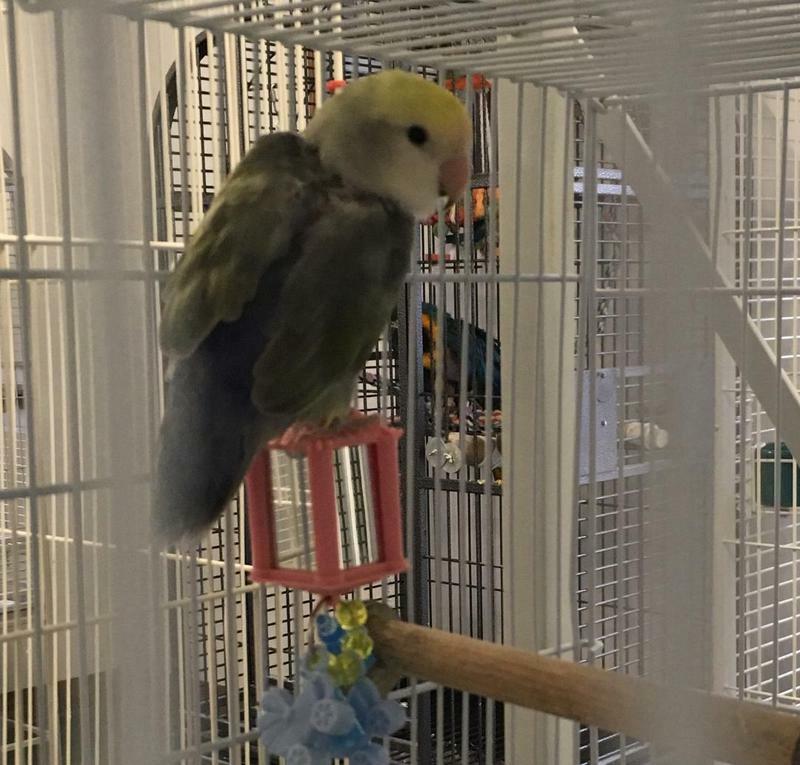 They are looking for an experienced lovebird owner to adopt them. The fee for them, is $10 each. 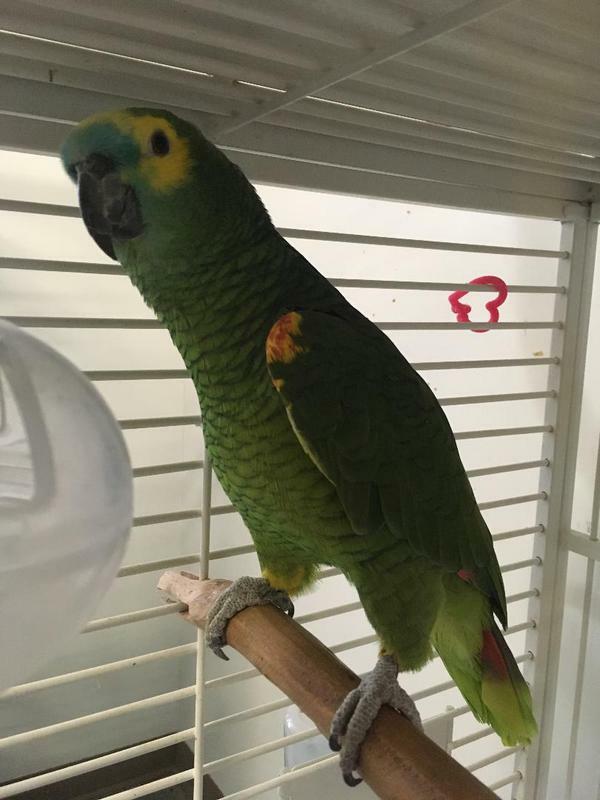 Lola is a fourteen year old female Blue Crown Conure. 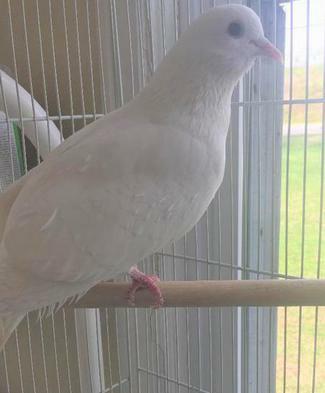 She's very social and sweet bird. She prefers women. She does well as an only bird. Her adoption fee is $200. 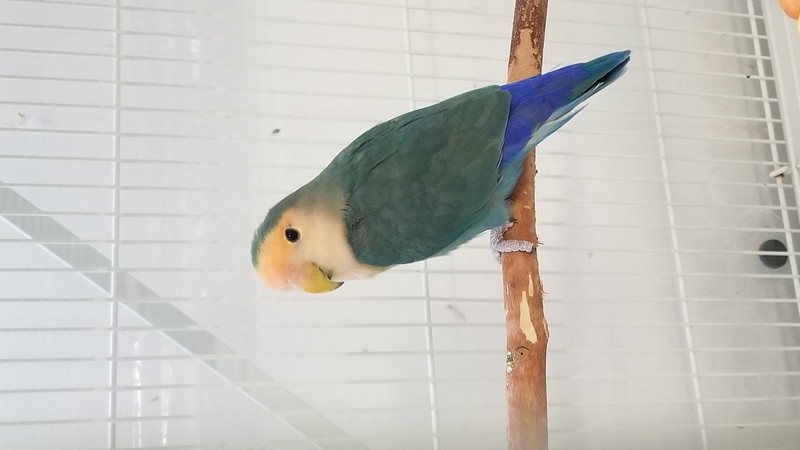 Harry is a male, Blue Front Amazon with less blue on the front of his face above his beak. He came in with his mate Crackers. Harry is not very social or talkative. We do not know exactly how old they are. 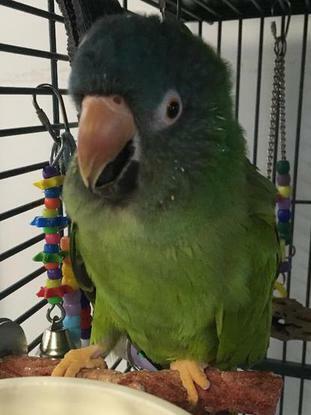 Crackers is quite social and can be very talkative. They will have to be adopted together. The adoption fee is $200 each. 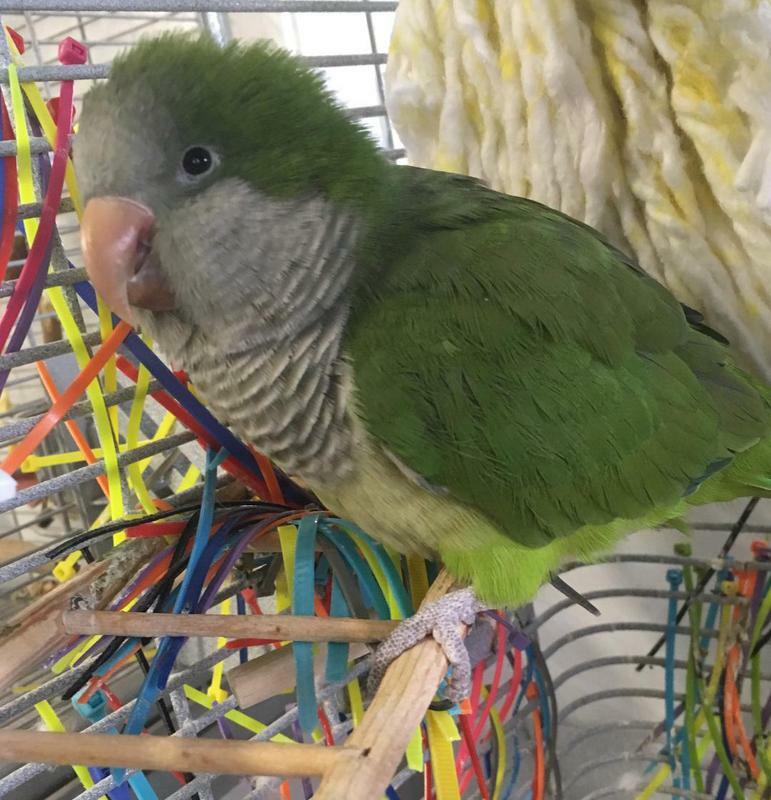 Smitty is a nineteen year old ringneck dove. He is partially blind in one of his eyes. He would do well as an only dove. He is looking for a good home to go to. His adoption fee is $5.00. 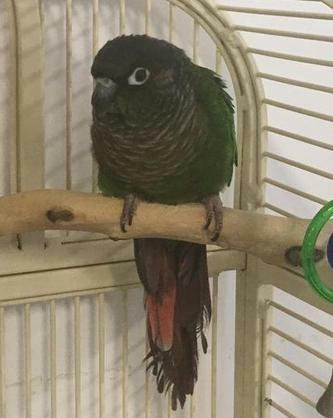 Shamus is a nine-year old Green Cheek Conure. We do not know if Shamus is a male or female. Shamus used to be tame, with more handling, Shamus can become tame once more. Shamus prefers women. The adoption fee for Shamus is $125. 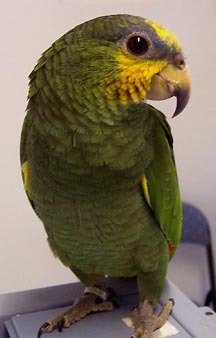 Jag is a seventeen year old Gold Crown Conure. He is somewhat tame. Jag does well in a calm environment as an only bird. He is looking for a good home to go to. The adoption fee is $170. Freddie is a somewhat tame pigeon. We don't know how old or if Freddie is a male or female. Freddie is a bit shy at first. The adoption fee is $5.00.